The High School was very well represented at the Munster Badminton Championships held on Thursday 5th January 2009 in University of Limerick. Two Teams flew the flag for the School: Under 16 Team included Yaco Oosthuysan, Darren Blanche, Christopher O’Gorman, and Liam McCarthy. The Under 14 Team included Paraic Looram, Cian Whelan, Gavin Lonergan, and Daniel McCarthy. Both Teams played to an extremely high standard and were successful in securing top prize. The Under 16 team defeated Cork, Waterford, and Clare to secure the Munter Crown. The Under 14 team defeated Waterford, Cork and Kerry and Clare in a closely contested affair to secure a hard earned Munter Title. Well done to both teams and their teacher Roger Corcoran. Best of luck in the All – Ireland which will be held in Gormanston College on Saturday 28th March 2009. Back in late 2007 students started training during lunchtime to be selected for the under 14 badminton team. Aidan Butler (Captain), Darren Cass, Brian Walsh and Padraic Looram were selected for the team. The day arrived for the County Badminton Competition in Templemore. We left at 9 O’Clock thinking about our games. We did very well and we won all of our games and were County Champions. We continued with training until the Munsters final which was one week later. We beat all the other counties so we were through to the ‘’All Ireland’’ Final. It was a great achievement for all of us and we were delighted. As the day came for the Final we got our new tracksuits and got ready to play against Leinster. We battled hard but unfortunately lost 2-4 games. We decided to forget about our loss and move on so we could focus on our next match against Ulster. We put in a great performance and won 4-2, It was time to play Connacht. It was a great battle and we won 4-2 again. Unfortunately, we did not win overall as Leinster took the title but we were delighted with runners up. After all it was the ‘All Ireland’ final. We stayed for the presentation and we got beautiful medals. On our way home we stopped for something to eat which the school paid for. We would have never got this far without the support of Mr. Rodger Corcoran, who has given up his lunch break to practice with us and also a special thanks to Hillview Sports Club who gave us confidence in our own abilities to get us as far as we did. The School year 2004/05 has once again proven to be hugely successful for the High School Badminton players. Success at all levels has allowed the High School to leave its mark on the badminton circuit at national level. Success began at the County League Schools Finals held in Templemore last November where the Over –15 Team A ( Liam McNamara, Conor Walsh, Liam O’Brien and Shane Barry) defeated their fellow schoolmates (Paraic Burke, Joseph Kiely, Ciaran Kendrick and Richard Madden) in the final. The High School A team put on an impressive display in the final to win 6-0 in sets.The High School were also well represented in the U- 15 category where David Hannon, Ewan Moir, Stephen O’Reilly and Stephen White also made it to the final. In the final they came up against stiff competition from Roscrea Community School . After a closely contested final the High School boys were defeated 2-4 in sets. Further success soon beckoned in January 2005 when the High School U-19 team (Liam McNamara, Conor Walsh, Liam O’Brien and Conor Walsh) won the County Schools Championships by defeating Thurles, Templemore and Roscrea. They then progressed in February to the Munster Championships held in the University of Limerick . They defeated stiff competition from Cork , Waterford , Clare and Kerry to become Munster Schools Champions 2005. This is a fantastic achievement for the boys considering that they captured the U-16 Munster title in 2004. On April 16 th 2005, the High School boys flew the flag for Munster in the All- Ireland Badminton Championships held in Gormanstown, Co. Meath. All the lads played extremely well on the day and did their school proud. However , All – Ireland glory was not to be this time around. Congratulations to Liam McNamara, Conor Walsh, Liam O’Brien and their teacher Mr. Corcoran on doing so well in reaching this stage of the competition. Best of luck for 2005/06 when they hopefully will get third time lucky and perhaps win the All-Ireland title to produce another first for the High School. The School Year 2003-04 has started off brightly for the badminton players of the High School C.B.S.. In the County League Finals held in Roscrea Community School on Wednesday 26th November, all badminton teams experienced fantastic success. In the Under 15 category, High School C.B.S. Team A (Rory O’Hanrahan, Ciaran Kenrick, Joseph Kiely and Eoin Redmond) defeated Gairm Scoil Mhuire Thurles (B), Killeneule (A) and Roscrea Community School (B) to make it to the final. In the final they came up against their fellow classmates, as High School C.B.S U15 Team B (Colm Madigan, Ewan Moir, Richard Madden and Stephen O’Reilly) also made it to the final by defeating Templemore (B), Gairm Scoil Mhuire Thurles (A) and Roscrea Community School (A). The scene was set for a fantastic High School dominated County Badminton League Final. With the matches tied on 3 games all, it was time to total the scores. High School C.B.S. Team A emerged victorious. In the Over 15 category, High School C.B.S. team A (Liam McNamara, Conor Walsh, Liam O’Brien and Shane Barry) defeated Nenagh C.B.S., Roscrea Community School (B) and Templemore (A) to advance to the final where they came up against a very competitive Roscrea Community School (A Team)). After an enthralling final the scores were locked on 3 games all. Roscrea won on points. Gracious in defeat the High School boys must be applauded for their fantastic achievement. 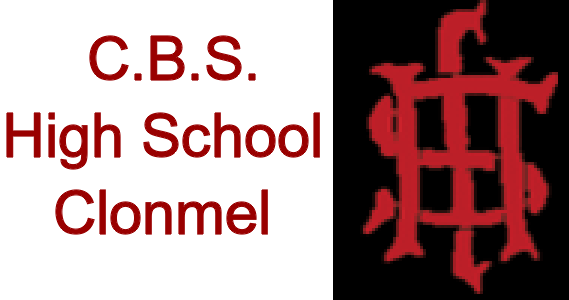 The High School C.B.S. over 15 Team B ( Padraig Burke, Kieran Ryan, Patrick O’Dwyer and Morgan Walsh) also played competitively on the day and were unlucky not to make it to the semi-final. Our Badminton Teams are now eagerly anticipating further success at the County and Munster Championships in January 2004. For 2003, Congratulations and well done to all involved. Team: Pat Burke, Daniel Connolly, Diarmuid O’Sullivan, Lorcan Ryan, Kevin McGrath, Donal Lynch, Liam O’Donoghue, Keith Landers, Ciaran Lonergan, Glen Nugent, Brain O’Sullivan, Paul Denn, Donnacha Lonergan, David McGrath, Sean Carey. Subs used: Kevin McLean for Nugent, Paraic Hickey for O’Donoghue, David Ryan for B.O’Sullivan. A High School First in Badminton! The School year 2003-04 has proved to be a very successful year for the High School badminton players. Success at all levels has allowed the High School to leave its mark on the badminton circuit at national level. Shane Barry, Liam O’Brien and Mr Bannon It all began with the County League Schools Finals held in Roscrea Community School last November. The High School Team A (Rory Hanrahan, Ciaran Kenrick, Joseph Kiely and Eoin Redmond) won the County League Finals. In the Over-15 category High School Clonmel Team A (Liam McNamara, Conor Walsh, Shane Barry and Liam O’Brien) made it to the final against Roscrea. After an enthralling final, the scores were locked at three games all. Roscrea won on aces. The High School boys were gracious in defeat after such a valiant effort in the final. Further success soon beckoned in January 2004 when the High School U-16 team (Liam McNamara, Conor Walsh, Shane Barry and Liam O’Brien) won the County Schools Championships by defeating Killenaule, Thurles, Templemore and Roscrea. They then progressed in February to the Munster Championships held in the University of Limerick . They defeated stiff competition from Limerick, Cork , Waterford , Clare and Kerry to become Munster Schools Champions 2004. On March 20 th 2004, the High School boys flew the flag for Munster in the All-Ireland Badminton Championships held in Gormanston, Co. Meath. All the lads played extremely well on the day and did their school proud. However, All- Ireland glory was not to be this time around. Congratulations to Liam McNamara, Conor Walsh, Shane Barry, Liam O’Brien and their teacher Mr. Corcoran on doing so well in reaching this stage of the competition. Best of luck for 2005 when perhaps they might get one step closer to an All-Ireland title and produce yet another first for the High School.